AVG Remover for Windows 10 allows you to completely rid the device from traces of antivirus. Users can delete unnecessary files and fragments that overload the operating system. 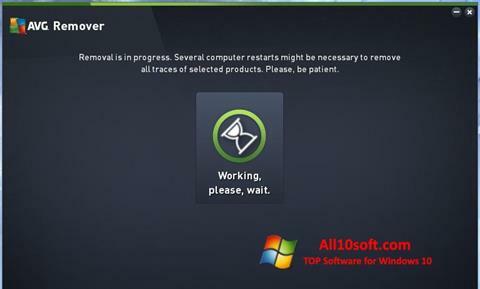 The program will help in the case when it is impossible to uninstall avg components from the toolbar. The situation arises during the critical completion of the program elements. You can free download AVG Remover official latest version for Windows 10 in English.